I took this photo back in the summer then invented a very quick script in PaintShoppro to make it look a little like a painting. Once again I have no idea what it is. 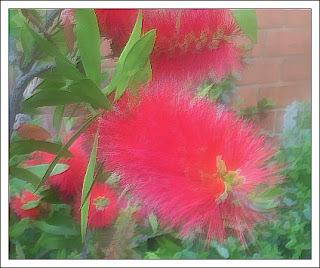 Looks like an Australian bottlebrush tree!